Place potatoes in a pot of salted, cold water and bring to a boil. 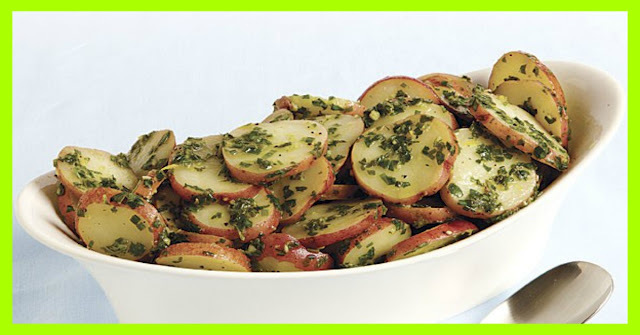 Allow to boil for about 20 minutes, until potatoes are fork-tender, and drain. Add vinegar, honey, mustard, olive oil, salt, and pepper to a small saucepan over low heat, whisking continuously for about 3 to 5 minutes until dressing is just warm.